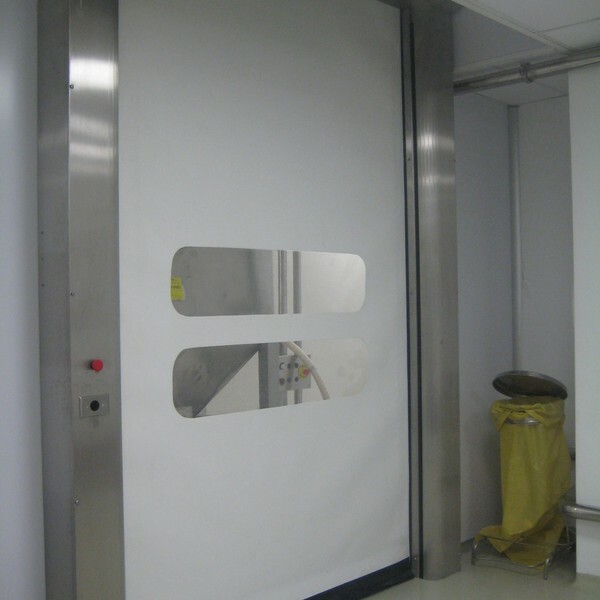 High Speed Doors used in a clean room environment for hygiene and minimal air movement purposes. A High Speed Door used in a clean room environment is purely for hygiene and minimal air movement purposes. An example of a clean room might be one that is used for specific manufacturing purposes, such as pharmaceutical products, or for scientific research or technological development. ENERCO is an established market leader in the supply and installation of all types of HIGH SPEED DOORS to the industrial and commercial sector. We can provide HIGH SPEED DOORS that enclose, partition and protect any CLEAN room or building. We understand that such environments require technology that can facilitate its specialised purpose and ensure continuous and uninterrupted use. As well as maintaining what goes in and out an opening, by using fast action opening and closing technology, High Speed doors can reduce noise and improve logistics – thus boosting your operational productivity and profits. Our door specialists can advise on insulation, material and finish options, depending on the intended use of the HIGH SPEED doors.